We have some good news for Galaxy Note 3 users out there as the rumors suggesting that the Android KitKat update for the Note 3 is coming in January has turned out to be true as the update has started rolling out in Poland and it should reach other parts of the world gradually. 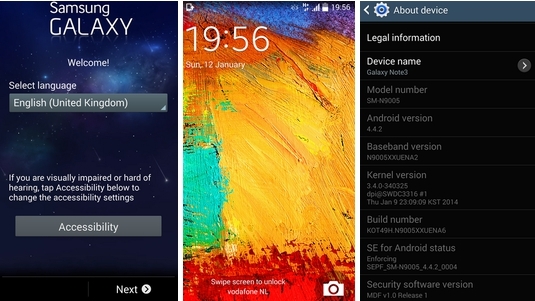 The update should roll out to the Galaxy S4 soon as we recently came across a leaked screenshot from the KitKat build on the Galaxy S4. The S3 and the Note 2 are rumored to be getting the update in April which is still far away. Anyways, do tell us if you get the update on your Note 3.